Big Water ………Big Salmon ! 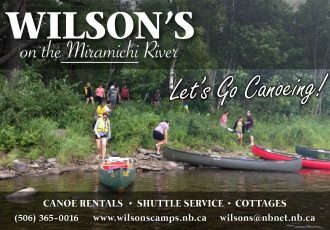 Atlantic salmon fly-fishing report for the Miramichi River at McNamee for July 1st . The water is still high but good color and good temps . It actually cam e up again last night an inch or two . Doug H landed this beauty on a “Bonnie Belle” double size 6. We are seeing a more fish everyday . Doug what a great start to the week!! !